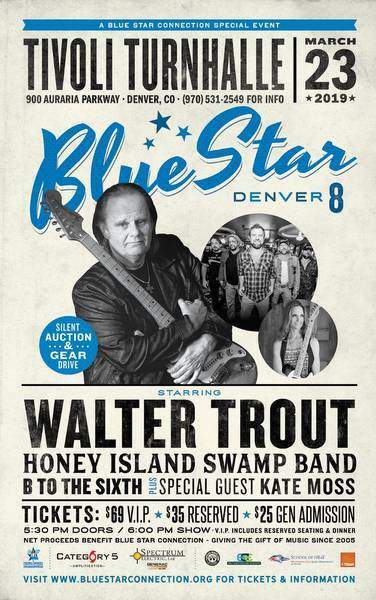 (DENVER, CO) – Blues guitar superstar Walter Trout headlines Blue Star Denver 8, a Benefit Concert, Silent Auction, and Gear Drive, Saturday, March 23rd, at Turnhalle Ballroom at The Tivoli, located at Metropolitan State University of Denver, 900 Auraria Parkway. Doors open 5:30pm, showtime is 6:00PM. 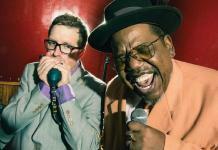 Tickets: $25.00 (General Admission), $35.00 (Reserved), $69. (VIP); $750.00 (VIP Premier Table). Info: (303) 726-6111 or visit Blue Star Connection. 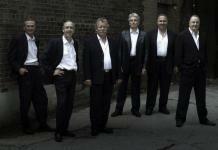 Also performing: Honey Island Swamp Band, B To The Sixth, and Special Guest, Kate Moss. Trout and Provogue Records/Mascot Label Group have just released Trout’s newest album, Survivor’s Blues. The track-listing of Survivor Blues is a window into the 67-year-old’s fast-moving back-story, chronicling a five-decade career whose one constant is his deep love of the Blues. Trout is no ordinary artist and this is no ordinary covers album. “I didn’t want to do ‘Stormy Monday’ or ‘Messin’ With The Kid’,” explains Trout. “I didn’t want to do the Blues greatest hits. I wanted to do old, obscure songs that have hardly been covered. 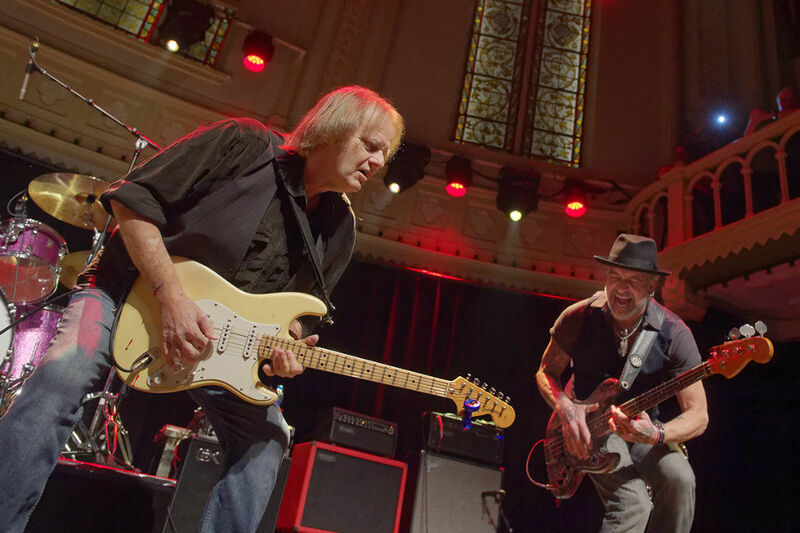 And that’s how Survivor Blues started.” Over the course of the last several decades, Walter Trout has been a prolific artist. He’s regularly released offerings from the studio, so this moment of offering a covers album is somewhat of a curve-ball. Trout was voted #6 in a memorable BBC Radio Poll of the 20 Best Guitarists Of All Time, alongside such greats as Jimi Hendrix, Jimmy Page and Gary Moore. His 2017 all-star release, We’re All In This Together, shows no sign of burning out and continues to receive accolades and sales on a global basis, alongside four awards for Blues Rock Album Of The Year. When it comes to Honey Island Swamp Band, think The Band’s Big Pink album and add a splash of hot sauce with Willin’ by Little Feat – this group of New Orleans vagabonds nails it. From the pristine waters of the Honey Island Swamp, to the vibrant streets of New Orleans, to the hazy corner of Haight-Asbury in San Francisco, this band has endured devastation, relocation, and revitalization. “Their all-encompassing sound of blues, roots, country, and soul has been described as ‘Bayou Americana’,” writes respected publication, NO DEPRESSION. Ruf Records artist Honey Island Swamp Band takes the hammer to the nail with the help of producer Luther Dickinson on their latest release, Demolition Day. On Demolition Day, the Honey Island Swamp Band breaks these boundaries to deliver a sound so relevant and honest that even in the darkest of days – like the violent storm that brought this group of musicians together – Demolition Day still shines brightly. Kate Moss has enjoyed playing guitar since her teens, but it wasn’t until she met Buddy Guy at the age of 21 that she realized what genre of music commanded her focus: The Blues. Exploring Buddy’s music and that of his contemporaries, she fell in love with the sound and the heartfelt, improvisational nature of the Blues. Over the years, Kate has been honored to share the stage with not only Buddy on several occasions, but other top performers in the biz, like her husband Nick Moss, Jimmy Vivino, Tommy Castro, Jimmy Johnson, Eddie Shaw, Curtis Salgado, Ana Popovic, Smokin’ Joe Kubek, Lurrie Bell, and Mud Morganfield, among many others. We have not lost our way but rather tried to lead the way. With innovation, tremendous volunteer effort and creativity, we have managed to stay ambitious and dedicated to the love and excitement of live blues. We have produced fifteen festivals in Grand County and we have presented well over two-hundred shows along the way. We have taken Blues in the Schools to every school in Grand County and given Blues History to kids that started with us in the first grade to become seniors in college. We have been involved in all our libraries, creating a musical choice, from CD’s to DVDs to actual instruments that can be taken home just like a book. We named it “Check out the Music.” We have looked after the kids wherever and whenever we have found them. We are an all-volunteer board and we have remained strong with the help of our friends and the businesses that continue to support our mission of bringing national touring acts to our valley. We hope you will get to know us and join us as we move forward supporting the Blues.